WASHINGTON (Sputnik) - The United State and North Korea will hold a second summit in the next two months, US Secretary of State Mike Pompeo confirmed with reporters. "Yeah, there'll be one in the next 60 days," Pompeo said on Thursday. "That's the plan." Earlier in the day, the Korean Central News Agency reported that North Korean leader Kim Jong-un had ordered the start of working-level preparations for the second summit with the United States after the North Korean delegations visit Washington, DC. On January 18, US President Donald Trump met with the deputy chair of North Korean Workers' Party's central committee Kim Yong Chol. 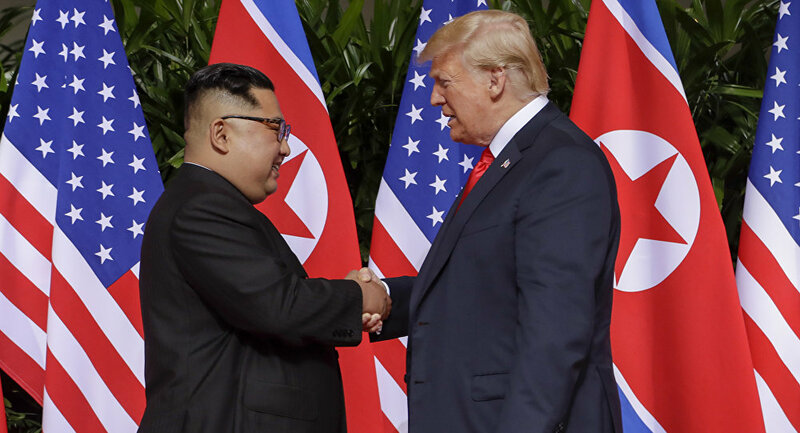 Later, the White House announced that US President Donald Trump and North Korean leader Kim Jong-un have agreed in principle to meet near the end of February. An exact date and location for the second meeting have not been announced yet. Trump and Kim held their first meeting in Singapore last June. Two leaders discussed a peaceful solution to the nuclear crisis on the Korean Peninsula.